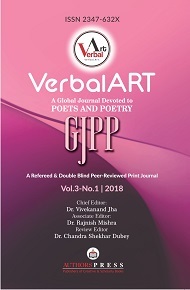 A publishing venture of Authorspress, VerbalArt is a biannual print version of journal devoted to poets, poetry and poems lock, stock and barrel. Our primary purpose is to set a vehicle of emotion and feelings for poets and poetry in English and poetry translated into English from any languages. 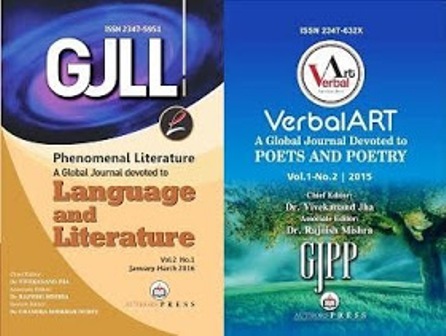 VerbalArt is committed to promote talented, amateur and young poets amid aura and ambience of established poets by browsing and exploring thought-provoking innovation and hidden talents in the cerebrum of the poetic world.